And Zuerlein misses -- #Vikings hold 18-15 leaad with 1:42 left, possession. Rams have three timeouts. STL misses and the #Vikings takeover!! Zuerlein entered Sunday having missed six kicks in last three games. He simply pushed that one. Was that the defense or a bad kick? Kick is no good. #Rams have all three timeouts. Vikings ball with 1:36 remaining. #Rams will get the ball back with 1:14 remaining in the game. No timeouts. QUEENS just givin the game away!! STL has the ball on their 39 with 1:14 left. Trae Waynes' penalty is a huge one, gives #Rams life at 35-yard line, down three points with :46 left. Foles looks to @KennyBritt_18 on back-to-back plays. Why can't these kicks get blocked anymore? 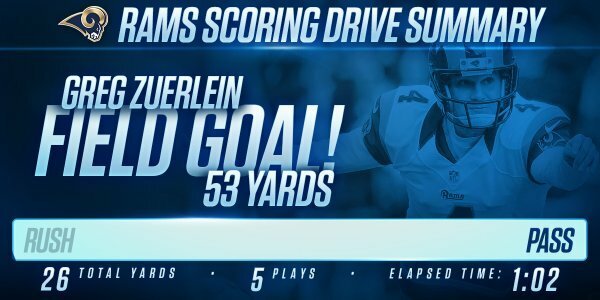 Zuerlein redeems himself with a game-tying, 53-yard field goal. Score sits at 18 all between #Vikings -#Rams , 12 seconds left. FG is good and STL ties the game. OH CHIT!!! ....we are DEAD MEAT! Sherels returns that kick and Pattersion is part of the blocking unit for Sherels. OK.
First overtime since 12/7/14 when the @Vikings defeated the Jets 30-24. Vikings need a miracle to get out of this with a win.